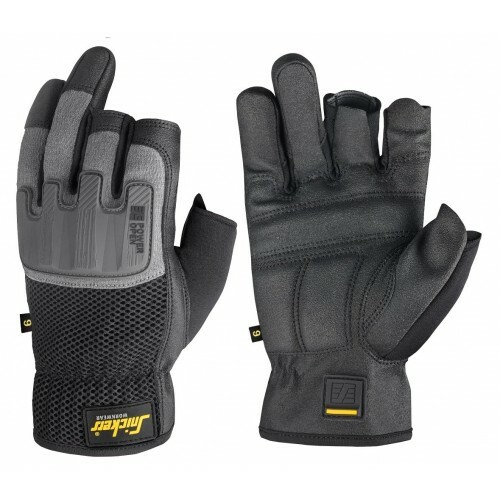 Reinforced fingerless work gloves combining reliable protection with total fingertip control. Features curved design and amazing grip for enhanced working comfort. EN 388.